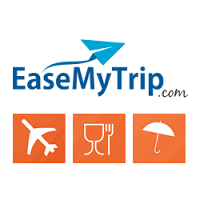 "Get up to INR 1000 off on domestic flight tickets. while booking. The offer is valid till 31st December, 2018. Maximum discount on domestic flights is Rs. 1000. at Via.com. Hurry! Ticket book now!" Get flat Rs 750 off* on domestic flights and flat Rs 10,000 off* on international flights every day from 10pm -12am. Simply book your tickets with the promo code mentioned below on the trip details page to avail this fab offer.Minimum booking amount Rs 6000 Required.Offer only valid for direct individual travel purchases of domestic flights operating anywhere within India and international flights operating from India for adults and children purchased online on in.musafir.com on April 30, 2017. Offer not valid for pre-packaged trips, trips booked through our travel experts, trips booked by travel agents or in conjunction with any other offer. Offer only valid if the coupon code is successfully entered before purchase. Offer will be deducted from any refunds due if a trip is cancelled in part or full. Offer may only be redeemed against one purchase on Musafir.com. Offer has no monetary value and cannot be reused, exchanged or refunded. Musafir.com India Private Limited reserves the right to withdraw this offer at its discretion and without notice. Domestic Flight Offers: Flat Rs. 250 Off On Booking Of Rs 4000 & More.Here’s an exciting opportunity to avail instant discounts when you book your domestic flight with us. Get flat Rs 250 off* when you book your trip with us on the flight details page. Goomo is offering up to Rs 1000 off instant on return flight bookings of both domestic and international routes. Minimum Booking Amount Rs 15000 Required For This Offers. Use your payback points to avail higher discounts online on flight tickets. Earn 2 payback points per Rs 100 spent on goomo website. This offer cannot be combined with any other coupons. Book Now! This offer is valid for booking from 01st Mar to 31st May 2018.Flat discount of Rs. 1500 is applicable on booking value of Rs. 30000 and above.Applicable only on All Website.Offer is valid on one-way & return air ticket bookingsOffer is not valid on Air Asia and Air India Express. Flight Festive Sale: Domestic Flight At Just Rs 888.The festive season is here, and travel is on the cards for everyone. With exclusive flight sales and special fares, holidays become better than ever. We've got the best offers on flights for you. Pick a favourite; Book now and start travelling!. Book a flight or hotel with Yatra.com using your Punjab National Bank credit/debit card or internet banking and have a relaxed trip. Use promo code PNB17 to get up to Rs.1,000 off on domestic flights, Rs.3,000 off on international flight, up to Rs.2,000 off on your hotel booking. This offer is valid for transactions made till December 31, 2017. Hurry! Book now.Minimum Booking Amount Required Rs 6000.To avail this offer, apply promo code PNB17 and use your PNB credit/debit card or Internet Banking at the time of payment.Discount will apply only if full purchase is made through PNB credit/debit card or Internet Banking.This offer is valid on bookings made from September 6 - December 31, 2017. Air Vistara Domestic Flight Offers:All inclusive Business Class one-way fares starting at Rs 5,205+ Extra Rs 1000 Off.Fares are applicable on Business class only.For any change into the itinerary, a modification fee and fare difference will be applicable.Flight schedules and timing are subject regulatory approvals and change.Child / infant discount, date change, flight change, refund charges, weekend surcharge, black out period, travel restriction and / or flight restriction will be applicable as mentioned in the fare rule prescribed by the airline.Booking Validity 28th Jun'18. Travel Validity 30th Sept'18. For Extra Rs 500 Just Use Coupon Code At Check OUt. Fares are applicable on Business class only.For any change into the itinerary, a modification fee and fare difference will be applicable.Flight schedules and timing are subject regulatory approvals and change.Child / infant discount, date change, flight change, refund charges, weekend surcharge, black out period, travel restriction and / or flight restriction will be applicable as mentioned in the fare rule prescribed by the airline. Grab this exciting offer on international flights and plan your holiday in advance. Book through Yatra.com and get up to Rs.15,000 OFF on international flights with promo code INTFLY17. Hurry! This is a limited period.Offer is valid on desktop/Mobile site and App only.A minimum booking amount of Rs.10,000 is required for availing the offer.Use promo code INTFLY17 to avail the discount. 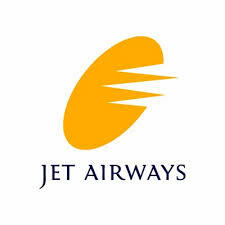 Jet Airways - Avail special fares with discounts of up to 30% on International & Up to 20% on domestic India routes.Up to 30% off on base fare of international routes.Up to 20% off on premiere & 10% on economy class on domestic India routes.This offer is valid for booking till 29th Feb 2018.The booking is valid for travel date 01st Feb 2018 onwards for domestic routes & 23rd January 2018 onwards for international routes.For Extra Rs 250 Off Just Use Coupon Code At Check Out.Flat discount of Rs. 250 is applicable on booking value of Rs. 4,500 and aboveOffer is valid on one-way & return air ticket bookings.Eight days advance purchase restrictions for domestic routes.Fare is applicable on Economy & Premiere.Blackout dates applicable.Fare is applicable on Oneway & Return. Special fares starting on Indigo from Rs.1797.This offer is valid on select sectors and select flights only.This offer is valid for booking from 1th Feb to 31th May 2018.The booking is valid for travel commencing between 1st Feb 2018 to 15th Apr 2018.For Extra Rs 500 Off Minimum Booking Amount Rs 5000 & Above Required. Just Use Coupon Code At Check Out.This offer is valid on non-stop flights operating on IndiGo domestic network only.These fares are non-refundable. In case of cancellation, only statutory taxes will be refunded.In case you wish to change your itinerary, you may do so by paying the applicable change fee and fare difference.Flight schedules and timing are subject regulatory approvals and change. Flying abroad? Get flat 25% Ecash (up to Rs.15,000) on booking an international flight ticket today. Use promo code YINTSALE. Hurry, the offer is valid till August 31, 2017.FLAT 25%(up to Rs.15,000) (base fare) on international flights.Use promo code YINTSALE on the payment page for theOn successful validation of the promo code YINTSALE, and successful completion of transaction, your Yatra account will be credited with the relevantamount.There is no restriction on travel dates.Thewill reflect in your Yatra account within a week of your booking and redeemable after travel date.Theamount will be credited only after the entire payment of the booking is complete.It is advisable to make this transaction after having logged into your Yatra account. In case of non-logged in transactions, thewill be credited to your account, basis the email ID used. You can access the Yatra account by the link sent on your email ID.Use yourto make online transactions on flight, bus and train bookings.Theearned through this offer has a validity of 90 days from travel date.Offer valid till August 31, 2017.FLAT 25%(up to Rs.15,000) (base fare) on international flights.Use promo code YINTSALE on the payment page for theOn successful validation of the promo code YINTSALE, and successful completion of transaction, your Yatra account will be credited with the relevantamount.There is no restriction on travel dates.Thewill reflect in your Yatra account within a week of your booking and redeemable after travel date.Theamount will be credited only after the entire payment of the booking is complete.It is advisable to make this transaction after having logged into your Yatra account. In case of non-logged in transactions, thewill be credited to your account, basis the email ID used. You can access the Yatra account by the link sent on your email ID.Use yourto make online transactions on flight, bus and train bookings.Theearned through this offer has a validity of 90 days from travel date.Offer valid till August 31, 2017. Use SBI credit card to purchase your travel ticket and get exciting reward till 6x Points on payment through Yatra.com, departmental and grocery stores 6x Bonus Points on Base Fare/Base Tariffs for purchases made at Yatra.com. 1 point on every Rs.100 spent at other retail outlets. Redeem all your points for Yatra.com vouchers. “Discount voucher” worth Rs.500, on every Rs.30,000 spent on Yatra.com 0% fuel surcharge on every fuel purchase between Rs.500 and Rs.3,000 Exclusive access to the premium MasterCard airport lounges in India. This Yatra Offer is available for 31 march only.